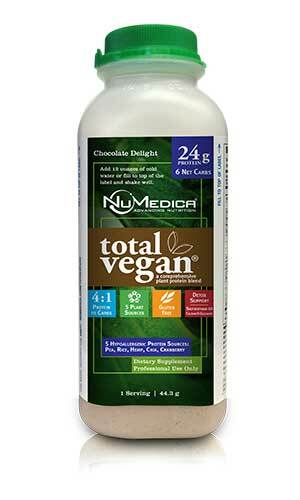 Learn about antioxidants, better food choices and why you need NuMedica Total Vegan Chocolate! 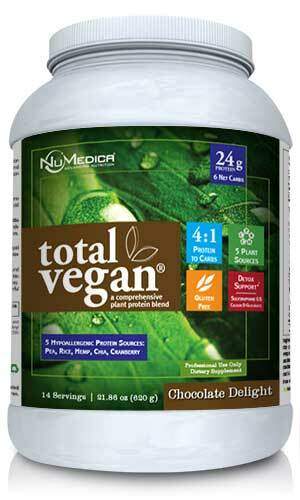 NuMedica Total Vegan Chocolate as a Substitute for Diet Drinks? 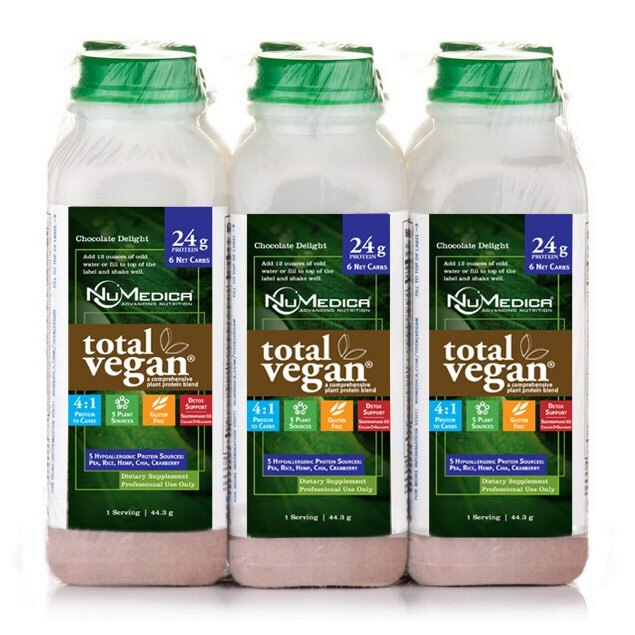 Try NuMedica Total Vegan Chocolate in these great-tasting, healthy smoothie recipes! 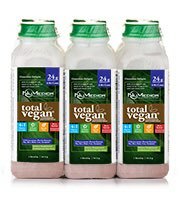 Chocolate Total Vegan Protein (Canister) 2 Scoops (44.3 g) 14 Stir or blend two scoops (44.3 g) into 10-12 ounces of cold water or as directed by your healthcare practitioner. To increase sweetness, use less water. To decrease sweetness, add more water. 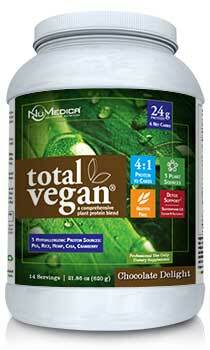 Chocolate Total Vegan Protein (6-Pack/Single) 1 Bottle 1 Add chilled water and shake. Ingredients: Total Vegan® Proprietary Protein Blend (pea isolate, rice concentrate, organic hemp, chia seed, cranberry fruit), evaporated organic cane juice, natural cocoa, xylitol, natural chocolate flavors, arabinogalactans, L-glutamine, steviol glycosides, BrocColinate®, Aminogen®, medium chain triglycerides, taurine, calcium d-glucarate, salt, AlgaeCal®, suma root 4:1. Aminogen®: is a registered trademark of Triarco Industries and is protected by U.S. Patent No. 5,387,422. †Sulforaphane Glucosinolate: is produced under US patents: 5,725,895; 5,968,567; 6,177,122; 6,242,018; 7,303,770 and patents pending. 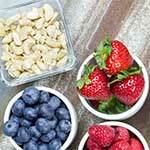 Free of:: Milk, eggs, fish, shellfish, tree nuts, peanuts, wheat, soy. 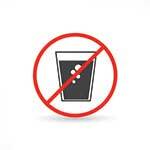 Does not contain: artificial colors, sweeteners or preservatives.